Packaged in heavy-wall polyethylene sleeves in packs of 20 dishes. Each case contains 25 sleeves. 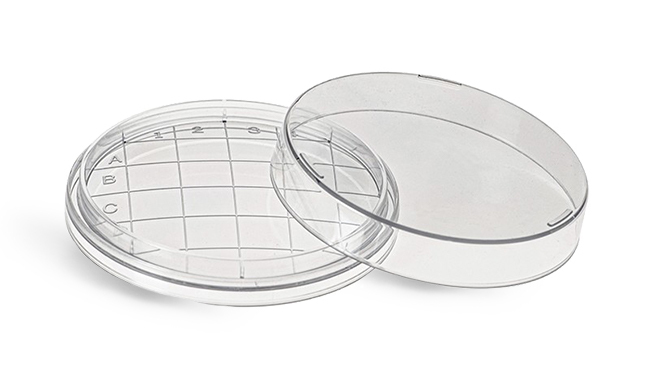 These clear polystyrene sterile contact plates are designed to allow a raised convex surface of culture medium. The grid is 10mm x 10mm with numbered and lettered squares to facilitate counting and to locate colonies. Dishes are free from optical distortion, and are packaged in heavy-wall polyethylene sleeves. Each case contains 25 sleeves.